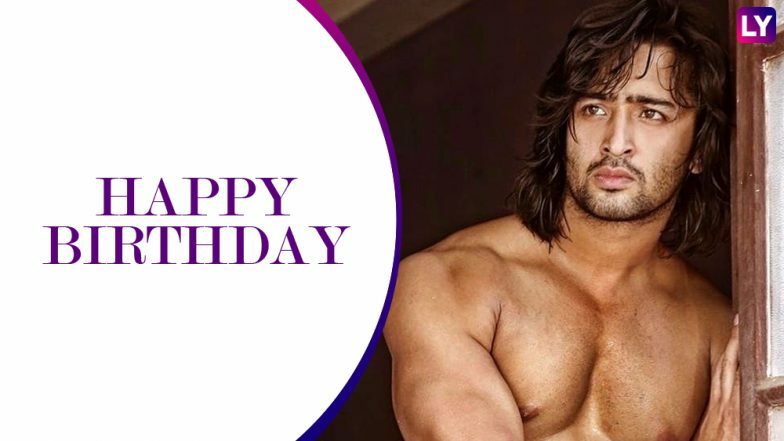 Television heartthrob Shaheer Sheikh, who garnered popularity for his role of Dev in Sony TV's much-celebrated show Kuch Rang Pyar Ke Aise Bhi, turns 35 today (March 26, 2019) and birthday greetings and wishes have started pouring in from early morning on Tuesday for the actor on social media. Shaheer is one of the most good looking actors that telly industry has. With his mesmerising smile, charismatic eyes and sharp features, the actor has been winning hearts since a long time now. In his career spanning about 13 years, the actor has tried his hands at both fiction and mythological shows and has a huge fandom. Not only girls, many boys are also a part of his fan club and can go to any extent to catch a glimpse of the actor. Yeh Rishtey Hain Pyaar Ke Review: Shaheer Sheikh and Rithvik Arora Steal The Episode; Rhea Sharma Also Impresses Us! On the professional front, Shaheer, who has also been a part of several other TV shows including Kya Mast Hai Life, Jhansi Ki Rani, Navya, Teri Meri Love Stories, among others, has completed 13 years in the TV industry. The actor, who is celebrating his 35th birthday today, is currently seen playing the lead role in Yeh Rishta Kya Kehlata Hai spin-off, titled Yeh Rishtey Hain Pyaar Ke. Watch this space for further updates.